Going into 2017, improving your SEO should remain hot on your agenda, as without giving it consideration, finding your website may well be like trying to find a needle in a metaphorical, saturated market haystack. Ranking number 1 on Google, is extremely important and effective in increasing organic web traffic. With all this said, whilst SEO is integral, it is very difficult to master. Especially since the way in which consumers use search engines has changed, as has Google’s algorithm. With the introduction of AI (Artificial Intelligence) consumers have adapted to being able to search exactly what is on their mind. Take Apple’s Siri for example, the consumer is able to pose a question in the same way they’d ask a real life, empathetic and emotionally intelligent person sat next to them. The same goes for searching on Google, as consumers are more likely to search using “natural language search”- for example, “how can I improve my SEO using influencer marketing” as opposed to a keyword search such as “SEO influencer marketing”. 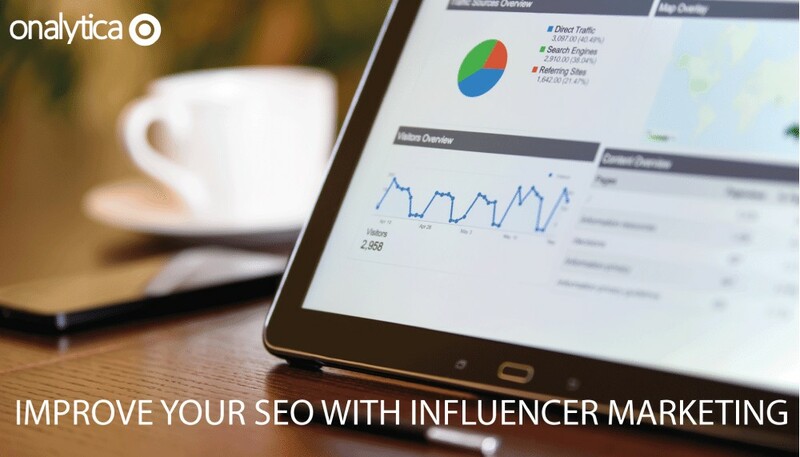 With both SEO and influencer marketing high up on brands’ agendas, we’re going to share a few tips as to how you can work with influencers to improve your SEO. Content creation has become a strong focus within most brands’ marketing strategy, mainly because it is relatively inexpensive compared to traditional advertising. It is also a very effective way to promote your brand in a sustainable and organic way. However, coming up with regular, new ideas can be challenging. This is where influencers can prove very useful for keeping your content fresh, current and authentic. This content then has the ability to reach a wider audience; while influencers are likely to have a similar calibre of followers to your brand, they will open up your brand’s content to a new network of readers, increasing the likelihood of shares and likes across social media. Again, creating content that readers will feel compelled to share is no mean feat, but influencers have earned themselves a living doing just this. Your knowledge may be the same as an influencer, but they’re an expert at presenting this knowledge in a very different way, which evokes trust in the reader. 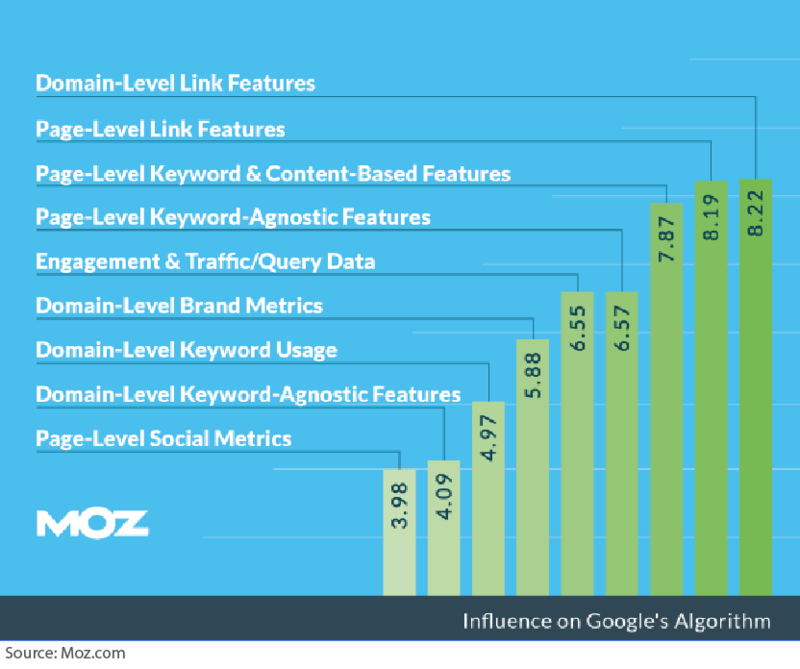 Moz conducted a bi-annual study into Google’s ranking algorithm, identifting web traffic as being the fifth most important factor in determining your SEO ranking. Therefore, this should be a focus area when aiming to improve your SEO. Reiterating my previous point, having access to an influencer’s following will stimulate sustainable, organic web traffic, which is far more cost effective than paid search. If an influencer with a significant following writes a piece on the topic of ‘Influencer Marketing’ for example, which does very well across social media, then this is going to improve your SEO ranking when someone types ‘Influencer Marketing’, as your site will be well regarded on this topic. Working with an influencer should be a mutually beneficial collaboration, where you’ll both benefit from exposure. Not only is the influencer you’re collaborating with going to actively direct their followers to your brand and content, but their dedicated followers will head wherever their content is, regardless. The way in which influencers can aid in this, is through ‘link backs’. A ‘link back’ is essentially your piece/brand being linked to, either in another piece of content that the influencer has written, or across social media. This then has the potential for a domino effect, as their followers may share with their own followers. Influencers follow and support other influencers, meaning your content will be exposed to other high profile accounts within their community network that may also share this piece. The authority of a person linking back is very important, due to Google’s algorithm altering slightly to mitigate brands cheating their way to number 1. Once new readers are in your domain, they may like what they see and stay, meaning you’ve gained extra readers and followers. There’s no shelf life on a piece of content too, as an influencer may write a piece on a similar or related topic in the near future, in which they will link back to past pieces. In a brand’s marketing strategy, blog posts are the social media version of a gifted perfume for Christmas- a gift that keeps on giving. Whilst not always obvious, working with influencers is a different approach to marketing and advertising. Millennials are known to more or less reject conventional advertising and direct marketing, simply because they are naturally more sceptical towards brands, questioning their integrity. However, Annalect and Twitter conducted a study and found that users trust influencers almost as much as they’d trust their friends. With this said, they’re far more likely to share a piece of content by an influencer, than they are to share a piece of content written by the brand itself therefore link backs will increase, meaning your SEO will be improved. If you’re looking to use influencers to improve your SEO, but you’re not quite sure who your influencers are, or how to approach them; watch a demo of our influencer discovery tool here.